Als internationale SEO Agentur verhelfen wir unseren Klienten zu top Positionen bei Google. Wir sind von Kanada, über England, Deutschland, Italien, Östereich, Runänien bis in den Libanon tätig! Betreiben Sie e-commerce, werben mit Ihrer Webseite für Dienstleistungen oder betreiben einen Blog? ... Wir haben umfangreiche, top aktuelle Strategien um IHR Unternehmen bei Google besser auffindbar zu machen. Nachhaltig, effizient, transparent und bodenständig. Tägliche oder wöchentliche Fortschirttsberichte gehören bei uns zum Standard. Bei uns haben Sie einen festen Ansprechpartner! Jochen Dullenkopf offers professional solutions. We started to work with Jochen when we launched our web site. He helped us to understand where and how to position ourselves to be visible on the web. After the initial set-up, he worked every month to give a lot of power to all our links and with very little time we’ve started to be very well ranked on Google. Everyday, we received a report on our progression and he was always answering our questions the same day. We would never be as far as we are now without his help. Thanks a lot! Wir haben eine sehr gute Erfahrung mit Herr Dullenkopf gemacht. Sehr zuverlässig, schnelle Antworten und hat immer uns gute Tipps gegeben. Er arbeitet sehr schnell und man sieht sehr bald gute Ergebnisse. Wir werden immer auf ihn zugreifen. Es ist sehr angenehm, mit ihm zu arbeiten. Unsere Webseite ist seit der Zusammenarbeit mit der Agentur Dullenkopf wesentlich besser besucht. Unsere Dienstleistungen werden seither vermehrt nachgefragt! Die Investition hatten wir somit schnell wieder erwirtschaftet! Sehr zu empfehlen! Unser Webshop wird inzwischen sehr viel besser gefunden und die Verkaufszahlen sind signifikant gestiegen! Das hätten wir nicht erwartet in einer so kurzen Zeit! Herzlichen Dank dafür! Die Arbeit mit Jochen Dullenkopf war sehr intensiv. Wir haben viel gelernt und sind inzwischen für über 10 Keywords bei Google auf Platz 1 zu finden! Herzlichen Dank! Gerne empfehle ich Sie weiter! "When it comes to SEO, Jochen is a true talent. He is extremely knowledgeable in his field. Jochen demonstrates a great combination of skills and commitment, delivering extraordinary results. He strives to constantly improve his SEO practices and strategies in order to deliver the best results for his clients. Working with Jochen Dullenkopf was fun and productive. I strongly recommend his SEO service to anyone who needs an expert for search engine marketing"
You hear all the time about people doing SEO who are really good at taking money from their clients, but not very good on delivering results. One reason is because Google is constantly changing and they aren't "in the know" of all these changes. Jochen is a true student of search engine optimization and is constantly staying abreast of updates - even before they hit the internet! If you don't want to risk just giving your money away with no good result, contact Jochen! He's got a proven track record of getting top rankings for his clients. A lot of people are hesitant to work with Digital Marketers today because they have not seen results with the others they've worked with before. Jochen will change how they think! He uses techniques that simply crush it in SEO and get lasting results. Be better than your online competitors! 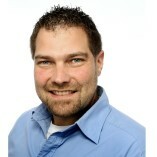 Contact Jochen Dullenkopf SEO & Interactive Marketing right away - I recommend! Jochen always has a solid plan to turn the odds in your favor no matter who or what is standing in your way from achieving high visibility in the search engines. He is well qualified and always a pleasure to work with. I highly recommend his SEO Agency! Jochen Dullenkopf SEO It can be extremely difficult to find an expert in SEO that actually delivers results. If you wish to have your company at the top of google then you need to deal with Jochen Dullenkopf SEO. His expertise and professionalism are bar none. Jochen and his team have a tremendous amount of experience when it comes to digital marketing and ranking websites. They're my go-to agency, and I highly recommend their services to businesses looking to expand their revenue. Jochen is an absolute professional when it comes to SEO. He uses solid techniques that will skyrocket your Google ranking. His commitment to his customers and their needs is first class. If you are looking for someone to get you to the first page of Google, then you need to contact Dullenkopf SEO. Hiring a Digital Marketer for your online Marketing campaign can be like shooting in the dark. Many marketers today are using techniques that worked great 5 years ago but will get you buried beneath your competition today. Jochen keeps up on all the latest search engine optimization info and implements them into his client's campaigns helping them to stay ahead of everyone in their field. Don't shoot in the dark. Hire Dullenkopf SEO & Online Marketing! Jochen is a flat-out professional when it comes to SEO. He's like a shark, he'll hunt until he get's every single one of his clients the results they deserve. Jochen has been a great help to me and my business and I've learned a lot from him. Cannot recommend him highly enough! Jochen is excellent at what he does. He will get your business skyrocket with Google traffics. Highly recommended his SEO Agency! Jochens talent and dedication to rank his client's website on the first page of Google search are remarkable. I've always fascinated with his extent of knowledge and I learn a lot from him every time we converse. Dullenkopf SEO service is highly recommended. Jochen Dullenkopf SEO can get you real results. They have knowledge and experience to carry on digital marketing duties and make your website improve. I see them keeping up to date with the latest SEO cutting edge techniques. If I need a SEO, I would call them. If you're looking to get some SEO work done for your business, look no further than Jochen. He knows all there is to know about SEO, and you can be confident that your business is in good hands. Jochen´s knowledge of SEO is outstanding. He continues to find innovative ways in order to help better serve his clients. I highly recommend his services for any business that wants real sustainable results on google. Jochen ist für meine Website mit SEO-Aktivitäten aktiv geworden. Meine Einschränkung von Beginn an war, dass an der Seite keine bzw. minimale Änderungen erwünscht sind, da die Seite aktuell parallel ohnehin überarbeitet wird. Jochen is a very professional and great person to work with. I also recommend him for SEO consulting because of his excellent skills in SEO and online marketing. If you have a business and want to increase your ranking on Google, give Dullenkopf SEO a try. You'll be thrilled with the results!